Rafting Costa Rica’s Pacuare River! With so many unique, adventure activity choices in Costa Rica, it is very easy to find something for everyone. While it doesn’t happen often, travelers passing through the country can have limited time or resources and are faced with the problem of limited time in Costa Rica. Fortunately, most people that visit Costa Rica take about one week to explore this country, but for those with only one night – we have the answer and know you will not be disappointed! No vacation is complete without a white water rafting adventure on Costa Rica’s famous Pacuare River! This amazing river basin starts at over 9,000 feet (3,000 meters) above sea level in the Talamanca Mountain Range and travels for over 400 feet (130 Km ) until it reaches the Caribbean Sea. Since 1985, the land alongside the river has been protected as a forestry reserve, making this river one of the most beautiful sights in the world. As you travel the river waters, you can enjoy amazing small waterfalls, canyons, and a dense rainforest that is home to a lot of wildlife. Travelers have seen jaguars and tapirs on the side of the river, but those sights are very rare. It is common to see toucans, raccoons, monkeys, sloths, anteaters, peccaries, iguanas, hummingbirds and lots of butterflies like the blue morpho. It is common to see indigenous people using and enjoying the river since a considerable population of the Cabecar Indigenous Community lives in the area. The first white water adventurers to enjoy this river only did it in 1980, but since then multiple experts and companies have raft down its waters. Today there are over 20 companies that offer white water rafting tours in the Pacuare. The river has been divided into three sections, the Upper Upper Section, the Upper Section, and the Lower Section. The most commonly rafted section is the Lower Section, a 230-mile (37 Km) stretch of river with multiple class III and IV rapids. The Upper Upper Section and the Upper Section are much more technical, and only the Upper Upper Section can be rafted. In the Upper Section, there are level IV and V rapids that can only be run by kayaks. “Rio Pacuare!” members of the Costa Rica Escapes team will collectively & enthusiastically answer! Travelers that want to take full advantage of their limited time in this country must experience white-water rafting the Pacuare (Pah-KWAH-ree) River. Overall, this paddle-sport adventure leaves people in awe and provides an absolutely unforgettable white-water experience. Pacuare river rafting is one-of-a-kind and offers visitors an incredible and genuine look into the primary rainforest of Costa Rica. Naturally, and as Mother Nature intended, is the way that paddlers will experience this world-renowned river. Kayaking or rafting Costa Rica’s Rio Pacuare is ideally spent as an overnight trip, to enhance the visitor’s adventure. The overnight trip breaks the rafting into 2 portions and allows paddlers the chance to sleep at one of the river’s eco-lodges and riverside campsites. With this experience, travelers get a million-star experience as they truly feel what it is like to sleep in the rainforest. These eco-lodges and campsites are an oasis in the jungle. All accommodations have running water, full kitchens and dry, clean sleeping quarters. Some of these accommodations are nicer than others and they range from luxurious cabins with queen size beds, a private balcony & wading pool to large tents with plush mattresses placed on raised wooden platforms. Staying at these lodges gives the visitor a unique opportunity to experience the rainforest at its best. The Pacuare River (or Rio Pacuare), both a class III & IV river, runs through West to East through the Talamanca Mountains and ultimately ends in the Caribbean Ocean. This river is most easily accessed from the Costa Rican adventure capital of the East – Turrialba. Turrialba has numerous commercial outfitters that have been running this river for years. The Pacuare River has numerous put-in points. While the river is accessible from the capital city of San Jose and other population and tourism hubs around the country, the easiest way to take a guided trip on this river is out of Turrialba. The most often used put-in is located in a town just outside of Turrialba, called Tres Equis. Commercial outfitters use numerous put-in spots further up-river from Tres Equis, but these are normally reserved for special paddling trips or kayak tours. From Tres Equis to the standard take-out location of Siquirres, the Pacuare River stretches about 18 scenic miles through a Biological Indigenous Reserve, where the native Cabecar Indians continue to exist as they have for hundreds of years. The river drops an astonishing 1,014 feet from Tres Equis to Siquirres and provides for some absolutely incredible & adrenaline-pumping moments! With rapids named “Bienvenidos,” “Cimarrones,” “Dos Montañas,” “Huacas Arriba & Huacas Abajo,” this river has a lot of character with many stories. We encourage those visiting to make sure they take the time to explore this beautifully intense river. For years, government agencies, power companies, and others within Costa Rica have sought to create capital gains by way of hydroelectric dams on the Pacuare River. The people of Turrialba opposed the project and in 2005 voted 97% against the project in a plebiscite, but there was always the fear of any government would take the project under their wing again. What felt like a never-ending battle saw its final day on August 28th 2015, when the president Luis Guillermo Solis signed a decree that prohibits the construction of any hydroelectric plants in the Pacuare River and the Savegre River for the next 25 years. According to the decree, the ecological and cultural value of both rivers is more important than its immediate economic value and should be protected. Note: This article was originally published on 10/30/2012, and updated on 1/22/2019. Plan a Trip to Raft the Pacuare River! Interested in a Costa Rica white water rafting trip on the Pacuare River? 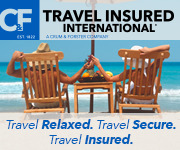 Let us plan a trip for your next adventure! This adventure is one of our specialties. Use the form below to contact us.